In the mad rush to personalise, decorate or even mildly renovate your accommodation, don’t forget that the most important thing you can do is safety proof it. Many students take a cursory glance at the locks and figure that they are safe enough, but this couldn’t be further from the truth. Guarding against leaks, fire, infestations and theft are more important than any amount of decorative cushions or pictures. In fact, these checks should all be carried out before you even move into your accommodation so that when you finally get your poster collection hung you can be sure they will remain safe, even when you are not around to guard them with your life! Ask your prospective landlord to display the Gas Safety Certificate for the property and make sure that the last servicing record was within the past year. Ensure that there is proper ventilation near all gas appliances and throughout the property. Ask your prospective landlord to demonstrate the carbon monoxide detector in the accommodation, or purchase one if it is absent. Familiarise yourself with the main fuse box and power supply. Check that all switches, outlets and wiring are covered properly. Take note of how often power surges, blown fuses and sparks occur when using electrical appliances. Plug as few appliances as possible into each outlet, and unplug appliances that are not in use. Unplug all appliances when no one is living in the property. Make sure that there is a fire extinguisher and fire blanket on the premises. Check that all furniture and household accessories are fireproof or at least flame retardant. Keep all candles covered and lit only while directly supervised. Test all smoke detectors and fire alarms each week. If they start to chirp, replace the batteries immediately. Listening for “scrabbling” around the house that might signal mice. Checking for signs of mould in the attic, in the basement and in corners. Looking for clues of rising damp on the walls and in corners. Calling Pest Control to exterminate rats and cockroaches (for free!). Keeping your accommodation neat and clean to cut down on breeding opportunities and see early signs when an infestation does begin. Making sure all doors and windows have appropriate latches and locks. Guaranteeing that keys are only distributed to those living in the accommodation. Seeing that an alarm has been fitted to the property and the code is not obvious to others. Keeping all valuables away from windows. Investing in a fireproof safe in which you can store priceless papers and documents. Safety proofing your accommodation is the most important thing you can do when you move into a new place. 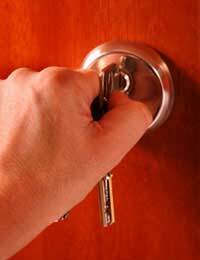 Only when you are certain that your health, and your personal property, is safe should you move into an accommodation. Good luck!